Ghanaian dancehall singer Livingstone Satekla (Stonebwoy), and Leg Over hitmaker Mr Eazi are among shortlisted acts for the award of BET Best International Act: Africa. Stonebwoy earns the nomination a second time after 2015 (which he won). Last year, Lynx Entertainment chanteuse MzVee (Ghana’s sole representative) lost out to South African DJ Black Coffee in the category. Other acts from the continent include Starboy frontman Wizkid, Tekno, Davido (Nigeria), as well as AKA, Nasty C, and Babes Wodumo (South Africa). The 2017 edition of the awards is scheduled for the Microsoft Theatre on June 25. 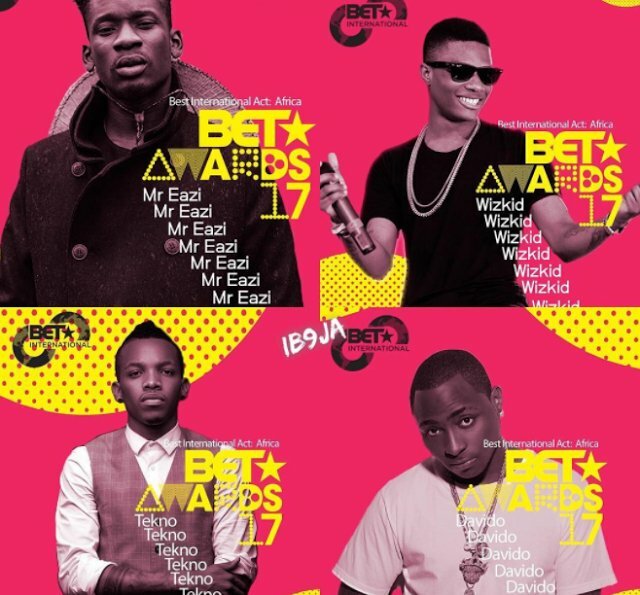 ← BET 2017 – Stonebwoy Gets 2nd Nomination !